My Daily Choice And Hempworx Review: Can I Make It Work? If you have recently heard about the “My Daily Choice” or the “Hempworx” opportunity, then your first thought was most likely “Will this work for me?”. If you are not quite aware yet, Hempworx is a part of the company “My Daily Choice”, and you can be paid for promoting either one or both of them. So what we are going to look at in this My Daily Choice and Hempworx review, is how to build a successful business with the opportunity, and most importantly, see if it will be a good fit for you. After reviewing the information below, you will know if you would be able to make a successful business out of the My Daily Choice and Hempworx model. In this review, we are going to cover a few basic principals about both My Daily Choice and Hempworx. If you are wanting to know if My Daily Choice or Hempworx is the right choice for you, this review should supply enough information to help you make an informed decision. Once you have read this entire My Daily Choice review, you should know for sure if moving forward with this company is in your best interest. Not everyone is cut out for this company, or the industry in general. So if this is your first look into network marketing, or possibly a change in it, be sure you pay close attention to the information laid out in this My Daily Choice/Hempworx review. First we will start with a brief overview of the products, and product lines, that My Daily Choice has to offer. Since you make money based on the amount of volume that you, your upline, those who came before you, and all those who come after you create. If you find a connection with any of the products in My Daily Choice or Hempworx, odds are tilted in your favor to do well with sharing the products among others who have interest for them. My Daily Choice offers a very unique product line with their sprays. A new way to introduce healthy living, without needing to swallow a bunch of tablets. Sprays are the highest absorbing product in the market today, versus tablets being the least. For this reason, My Daily Choice launched a line of nutritional sprays to the market. Each of these unique sprays are designed to deliver a powerful effect in their own way. Effects are usually felt or noticed rather quickly due to the high absorption rate, and are made for easy access on the go. There are several benefits to getting nutrition through the use of sprays, and they will become more common and popular as more people learn about them. For those who love to travel, or love the business of getting paid for helping others save money on travel, there is a little something you can love about My Daily Choice. My Daily Choice offers a travel app that gets you cash back on travel. A very unique plan that can be used either for benefits of being a My Daily Choice affiliate, or used as an entire business model for affiliates. By using the travel plan at My Daily Choice, you receive volume. This volume is used to qualify for staying an active affiliate. So if you ever plan to travel while a My Daily Choice Affiliate, simply convert your investment over to the travel plan and you’re good to go for that month. The biggest and most popular product line of My Daily Choice. Hempworx is CBD based products, and caters to the high demand of this cannabis oil. Most affiliates are using Hempworx as their leading product, and they also see a high “customer only” demand for these product. With CBD oil and CBD oil based products in such high demand, many affiliates are seeing their incomes grow by large amounts. With all the medical benefits that CBD oil can bring, it’s no wonder so many people chose Hempworx to be their leading product line when promoting My Daily Choice. Regardless if a person wants to use CBD for pain, skin, pets, or any of the long line of medical benefits, there is a product for them at My Daily Choice and Hempworx. Many people are concerned that taking CBD oil will put THC in their system, or cause them to fail a drug screen. If this is the case, there is now the option to get THC free CBD oil from Hempworx. Putting Hempworx at the top of CBD options, unlike all other companies. If you find in this My Daily Choice and Hempworx review, that the product line is one you can build a business with or consume as a customer, this next piece of information may be the ticket for you in making a decision. Most companies in the network marketing industry offer replicated websites, and send you on your way. What stood out to me in My Daily Choice was their online system, that all affiliates receive when they upgrade and join the team. I actually joined My Daily Choice before they even released Hempworx, and my largest reason for doing so, was their online system. My Daily Choice offers every affiliate this system, and along with it several landing pages that get high amounts of opt-ins. Once a person fills out the form and moves to the next page, they are placed on the team for free, as a “pre-enrollee”. On Thursday at midnight, the week ends, and all pre-enrollees have until them to make a decision on joining the team or not, if they want to “capture” the new affiliates that have upgraded before them. What this does is causes a chain effect. Let’s say a person views the video, and likes what they see. But as most people will do, does not move forward in upgrading just yet (they are thinking about it so to say). This person begins to receive a constant drip of emails letting them know about all the other pre-enrollees who have also signed up, and lets them know when a person in the line decides to upgrade to affiliate. The prospect is alerted that they have until midnight on Thursday to make a decision, or all the upgrades go away for them. If they upgrade themselves, they are locked for life to earn volume (turned into income) from all the upgrades that came in that week, regardless of who sponsored the affiliate. This can cause a series of opt-ins, and makes Thursday the big day on average. Every time an affiliate upgrades, it puts pressure on all the others to do the same. If another upgrades, it puts even more pressure on those who have not upgraded. One after another, the pressure and benefit of upgrading becomes almost unbearable for some, creating a massive impact of volume for everyone on the team. Keep in mind, that My Daily Choice and Hempworx uses a binary pay plan, so if someone I sponsor does well, it benefits all the other people I sponsored too. When I do well, it helps everyone I sponsored. Since we basically share the volume, it minimizes the challenge for affiliates to make good income from the pay plan. This system takes advantage of such thing, and has been the most powerful online system for a network marketing company I have ever been a part of. 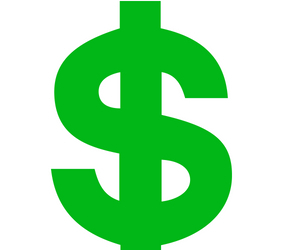 Compensation plans are a big factor for affiliates to decide on what company they want to work for. My Daily Choice and Hempworx offers the highest paying compensation plan in the industry, as you are about to learn in this My Daily Choice and Hempworx review. Retail Commissions – Just like many companies, My Daily Choice has retail commissions. You earn 25% of all retail sales. Jump Start Bonuses – When you personally sponsor an affiliate you can earn anywhere between 25% to 50% off of their first purchase. Also, your personally sponsored affiliates earn you from their affiliates as well, up to 10 levels deep. These bonuses start at 10% of your 2nd level sales, down to 1% of your 10th level sales. Binary Team Commissions – Here is where having a STRONG TEAM pays off for someone who may not be able to personally sponsor many people. This consists of team volume, regardless of you sponsoring them or an affiliate you sponsored doing it. Upline, and all affiliates contribute to your binary team commissions, and becomes the “sense of urgency” offer for My Daily Choice’s online system. Once qualified, you have the ability to earn 8% up to 20% of your weaker leg. It works with “cycling” as some call it, and each month the volume is taken from your legs, and you are given a percentage based on where you are at in the ranks. Affiliates are capped at the highest and most unheard of amounts, reaching up to $1,000,000.00 monthly. Once you reach one million dollars a month is binary team commissions, you are no longer able to earn from the extra volume created. But, it just rolls over to the next month and continues to do so. You never lose the volume or any flushing happens. Leadership Check Matching – This bonus really pays off if you get just one person who works the plan hard. You are entitled to a percentage match of every person you personally sponsor, and their affiliates they sponsor, up to 10 levels deep. With personally sponsored affiliates, you can earn anywhere from 15% up to 30% of their check. Second level pays out 20%, and it goes down to 5% on the 10th level. Having affiliates in your personal team can make this bonus really pay out well. Global Bonus Pool – Monthly bonus that pays by your amount of shares. Each month the company uses 2% of it’s earnings and divides it up among everyone who has at least a share. You can earn unlimited shares, and the amount varies based on shares given out, and company profits. None the less, it is a nice way to top off a good month with more money. VIP Auto Club – This bonus pays out anywhere from $150 monthly, up to $1,000 monthly. Bonus is used to pay for a car of your choice, once you qualify for it. You keep any over payment you may get for the lease. Elite Expense Account – Once you reach this point in the business, My Daily Choice and Hempworx begin adding more money to your earnings to cover costs you may or may not be using to build your business. Bonuses start at $2,000 monthly up to $20,000 monthly, on top of what you would already be earning. Rank Incentives Bonus – The are one time bonuses you earn when you begin to climb the ranks at My Daily Choice and Hempworx. Those are the bonuses for every time you rank up in the compensation plan. Bonuses are only a one time payment, but very sweet none the less! My Daily Choice and Hempworx was created by CEO Josh Zwagil. A network marketer himself, Josh visioned a company that any and all network marketers could call “Home”. In the name itself, “My Daily Choice”, Josh envisioned a company that could offer choices to it’s affiliates. This is why there are different product lines to chose from. The idea is to create products in the hottest selling niches, and offer more than just one niche to their customers and affiliates. Many companies have fallen due to the lack of product choice. All Companies focus in one niche, either wellness, travel, energy drinks, vitamins, skin care, etc. So by having options for affiliates, it offers you the ability to “capture” more business. A good example of this is when I was in the Energy Drink niche, and lost a sponsored affiliate because he was looking for a travel company to partner with. Now, problems of that kind will be reduced down. Keep in mind that My Daily Choice and Hempworx is still very young. There is massive growth to come, and now is the best time to be a part of it. Eventually, over the years, like most companies My Daily Choice will also become a familiar name. Making harder for affiliates to build large teams (still a long way away from that point). Over the following years, My Daily Choice and Hempworx will continue to release new products, product lines, and offer more and more marketing tools to it’s affiliates. Josh’s vision is to make this a home to affiliates, and through their marketing skills and tools, that is clear. Due to the way My Daily Choice and Hempworx has setup their compensation plan (binary), you need to consider being part of a strong team. This actually does matter, but is not a “for sure” thing that you will make good money. I’ll explain why it is a special “bonus” type deal, and why you need to consider it. Having a strong team, means more affiliates will be placed under you in the pay plan. As we learned above, binary team commissions come into play this way. Regardless of you personally sponsoring them, your personal affiliates sponsoring, or anyone who is in your team placed by anyone above you, they all count towards your volume needed for these bonuses. This means anytime I personally sponsor a person, all those affiliates who have been sponsored by me can benefit from my work. Also, everyone above them must at least place one affiliate in the team as well. Now, some people do not have this benefit, and are still able to carry on and make a lot of income. It just means they have to put in more work to get the same amount of money that someone with just a few results may see. If you believe you will be a powerhouse in the company, having a strong sponsor will just mean even more money for the same effort. This is why you need to consider joining a powerful team, which can be done through this review if you wish. If you have been told about My Daily Choice by a strong sponsor, then there is no need to join through this blog post. However, if you have just learned of the company, and are wanting to be a part of it, do not gamble with just looking for someone local to join. Having a local sponsor will not benefit you anymore than having a sponsor on the other side of the world, due to technology. If you have made up your mind you want to become part of the team, you need first to Watch This Video and fill out the form on the next page. This will place you in the line with a lot of others, and give you the benefits of having a strong sponsor. Considering joining the team? Well, if you have any network marketing experience, you may be surprised at what you get with the team I am part of, and how much it can benefit you. Keep in mind, these tools are NOT offered in any other team in My Daily Choice (that I am aware of), so take a look below at how we can help support you in building a powerful My Daily Choice or Hempworx team. 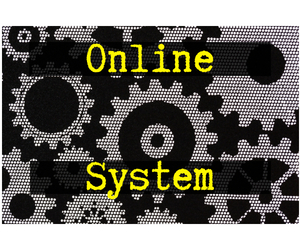 The “My Daily Choice” Online System – Same system as above, and the only tool mentioned here that is available in all teams. It is a powerful system that all affiliates receive when they join. Leads For Life – Here is where we get ahead of all others online and offline with My Daily Choice. We offer a way for you to get genealogy leads (my personal favorite and highest converting lead), for the rest of your life, without having to pay for them again and again. Anyone who is willing to contact leads can have tremendous success alone with this feature we will offer you. Incentive Program – We also have a way for you to give away UNLIMITED $50 Visa gift cards to as many people as you want, in exchange for looking at your My Daily Choice business. The sky really is the limit here. If put into place, worked consistently, and you have a cell phone, you can get a massive amount of people looking into the business in your local area, or anywhere you can promote the free gift card. Massive Communication – We also can help you build your My Daily Choice business through a new type of technology. Having the ability to reach any smart phone that comes within 200 meters of you, or your chosen location. If you can find high traffic areas, you can send messages to every smart phone that passes through the signal area. This can be used to offer the $50 gift card, or direct then to become pre-enrollees and let the system sign them up. These are some of the highest effective ways we have to help our affiliates only. It may be clear now why joining a strong team is important and why we have one. If you have been sent here by someone you know, and they showed My Daily Choice to you, consider working with them as a team. But if you have no one in particular to join, and you are just looking at what the company may be able to do for you, then we would love to help you build a large team of customers and affiliates using our plans and tools above. Did This My Daily Choice And Hempworx Review Help? If you got a better understanding of how the company operates, and appreciate the information I shared, please comment below and share this on your favorite social media website. « Previous Post How To Overcome The Fear Of Calling Network Marketing Leads Next Post » Have You Committed Network Marketing Adultery? Many Have! 12 replies to "My Daily Choice And Hempworx Review: Can I Make It Work?" Well this is a detailed article about My Daily Choice and Hempworx. A friend of mine uses the Hempworx CBD product and she raves that it helps with her MS condition, especially for helping her to sleep at night. She been using it for several years and gave a good testimony to me about it. I will definitely share your article so people can read and know the benefits of Hempworx. I’ve heard others testify to that as well, along with many other issues they say it helps with. Thanks for coming by and thanks for sharing Terri! Thank you for your review. I’ve been using CBD oil a it helps my anxiety. Looking to help others benefit. I hear many say that, so I am glad you get results from it too. Enjoy taking, and enjoy making with it! 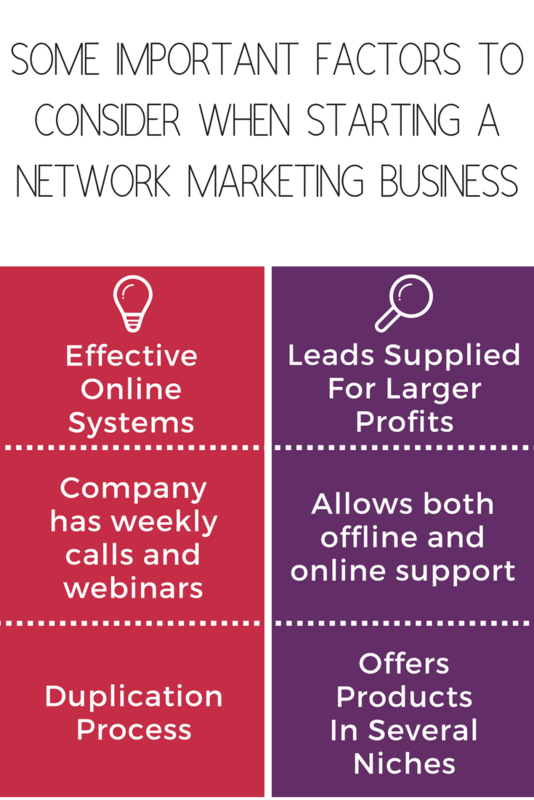 I’m a long time business owner and was once very active in the Network Mktg industry. I’m taking a serious look at building a business with MDC/Hempworx and looking for a serious person like yourself that I can work with. Let me know if you’re available to chat – thanks. Josh Zwagil did a great job, creating My Daily Choice and HempWorx. The company came up with great products which is really helping their affiliates. The Compensation Plan is one of the best. I love the fact that you can get between 25% to 50% of your downlines first product purchase. A lot of people are making big amount of money from that alone. Another thing I love about them is the way they are helping their members to convince people to join them. This is one of the easiest company to make money online. Thanks for the Review. I am able to know more about the company. Thanks Seun, glad you find it so interesting. Be sure to take the tour so we can build you a downline, and help your volume increase. Jaye, from what I can soak up through your own educational content as well as testimonials, it looks like your business here is a home run with great products, and a great plan to get these products into the hands of people that need them! Yes, it has been a very successful and solid one to say the least. Glad I found it. A lot of good information about daily choice as well as hempworks. Well the products seems to have many benefits when it comes to health. Thanks for sharing. Thanks for coming by Tommy! I appreciate your input. If it’s benefit to health your looking for, then there is a lot of selection to decide from! ©2018 Jaye Carden Marketing LLC . All Rights Reserved.